PREFACE was first time played. FAST ENOUGH FOR YOU was first time played. * SO MANY SO LITTLE included the cd skip joke. UP ON THE HILL BOOGIE was first time played and included special flash cards made by Kevin. 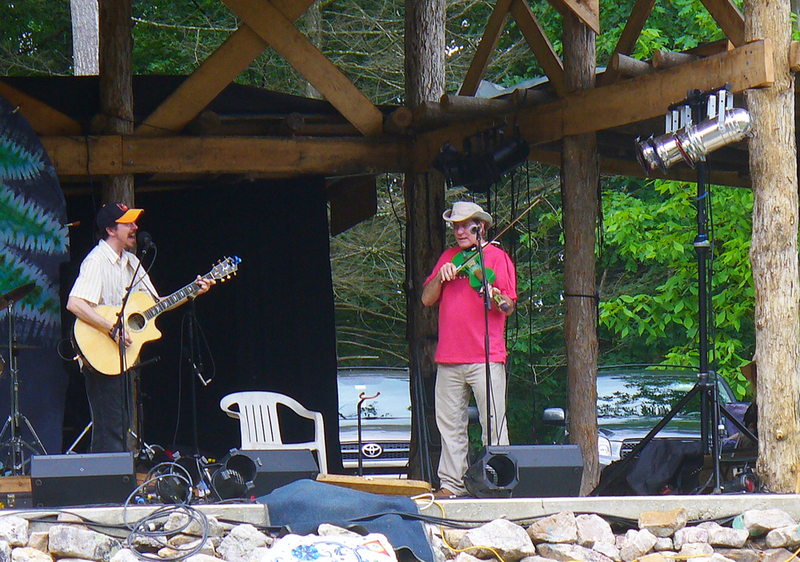 Special thanks to festival hosts DAVE COOK & HEIDI CUSTER and all the staff at Wills Mt. * POSTCARDS was first time played. * DIXIE DOWN and MISSISSIPPI MOON were played with KEVIN KUTZ: Fiddle, Backing Vocals. Special thanks to festival host MATT OTIS for inviting me to perform, and thanks to Wills Mountain owners DAVE COOK & HEIDI CUSTER. * HEAVEN with Special Guests Jon Patton on Guitar & Mosno Al-Moseeki on Percussion. SO MANY SO LITTLE contained the "CD skipping" joke during the second chorus. BUG was first time played. *With JANE TAYLOR RAMSEY as special guest during her set. *With JON PATTON of MIDWAY FAIR as special guest during his set.